Adidas Focus Mitts Leather - Black - 10"
The Adidas Focus Mitts Leather - Black - 10" feature thick G9SX foam padding for a cushioned finish during hard impact blows, along with a palm and wrist contour pad for quick focus and timing exercises. An excellent piece of boxing equipment, these leather focus mitts are designed to improve all round performance. 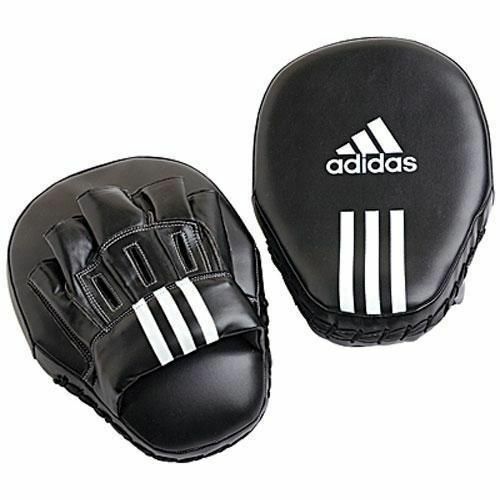 for submitting product review about Adidas Focus Mitts Leather - Black - 10".